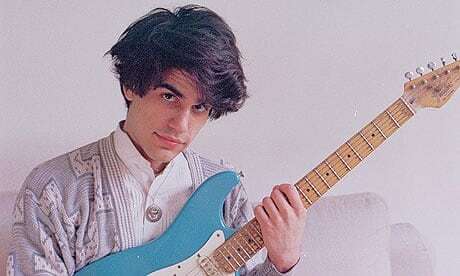 Sam Mehran, a founder member of British trio Test Icicles who went on to record as Outer Limits Recordings and Matrix Metals, has died. He was 31. A cause of death is currently unknown. News of Mehran's death was announced on Sunday, July 29, by Zak Mering of GunkTV Records. The label released Outer Limits Recordings's Birds, Bees, Babys, Bacteria album on cassette tape in 2016. "You will be sorely missed and loved by many forever," Mering wrote on Instagram. "The most talented Musician I’ve ever had the pleasure of being close friends with. I know you’re in a better place brother. You will not be forgotten." The FADER has reached out for further information. Mehran first emerged alongside Dev Hynes and Rory Attwell as the London-based punk trio Test Icicles. The group released one album, 2005's For Screening Purposes Only, before splitting up in 2006. He went on to release two solo albums under the Outer Limits Recordings moniker as well as recording as Matrix Metals. Most recently he co-produced Ssion's 2018 album, O.